Washington, D.C. – The Center for Regulatory Solutions (CRS), a project of the Small Business & Entrepreneurship Council (SBE Council), released a report today – titled “Regulation: Costs, Incentives, and the Need for Reform” – which examines the causes of government over-regulation, its costs, and its causes. View a summary of the report here. With U.S. federal regulatory costs now exceeding $2 trillion dollars, elected officials and policymakers need to seriously examine how to rein in these massive costs, which have caused unending uncertainty across industry sectors for nearly a decade and disproportionately burden small businesses. Anemic GDP growth, business formation, quality job growth and investment can all be tied to the growth and vast intrusiveness of the federal regulatory state. 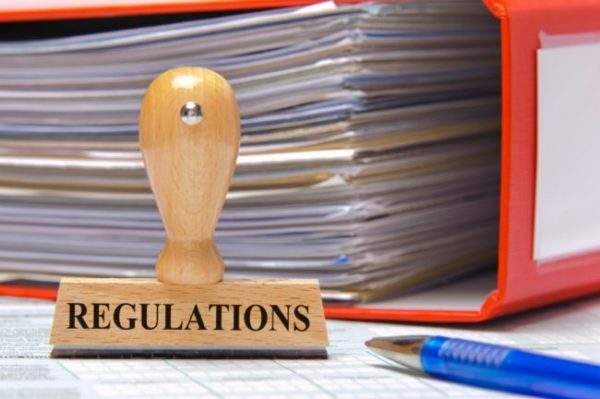 While the two presidential candidates have each outlined reforms and steps to curb the burden of regulation on small businesses, a robust discussion on this issue has unfortunately not taken place during the presidential debates. As noted in the study: “Assorted studies make clear the significant costs imposed by the U.S. regulatory system in terms of lost GDP, costs imposed on small businesses, declining entrepreneurship, reduced job creation, and reduced or restrained investment and productivity. As noted in one report, studies over the past 25 years ‘have shown that the cost of regulatory compliance disproportionately affects small firms.’ In addition, as a recent survey made clear, small business owners see regulation as overly burdensome, and regulatory costs and uncertainties impact business decisions.” Keating also highlighted the period of the Great Depression to show how increased regulatory costs and uncertainties can inflict serious damage on the economy. Reforms Options Outlined: As for what can be done, institutional reforms are called for to balance against the pro-regulation bias. Among the reforms noted were improving analysis of regulatory impact on small businesses and establishing a meaningful procedure for engagement and feedback; congressional approval of all rules and regulations before they are imposed; greater use of “formal rulemakings”; strengthening the integrity of scientific data and increasing transparency; sunsetting all rules and regulations so that Congress is required to re-evaluate regulations after a certain period of time; establishing a regulatory budget, which if properly done, could be a tool to achieve greater transparency in terms of regulations and their costs; supermajority votes in Congress to pass bills imposing major regulations on businesses, entrepreneurs and investors; and setting up an independent congressional body to fully analyze proposed and existing rules and regulations. SBE Council is a nonpartisan, nonprofit advocacy, research and education organization that works to protect small business and promote entrepreneurship. To learn more, visit SBE Council’s website: www.sbecouncil.org. Follow on Twitter: @SBECouncil. The Center for Regulatory Solutions is a project of SBE Council.